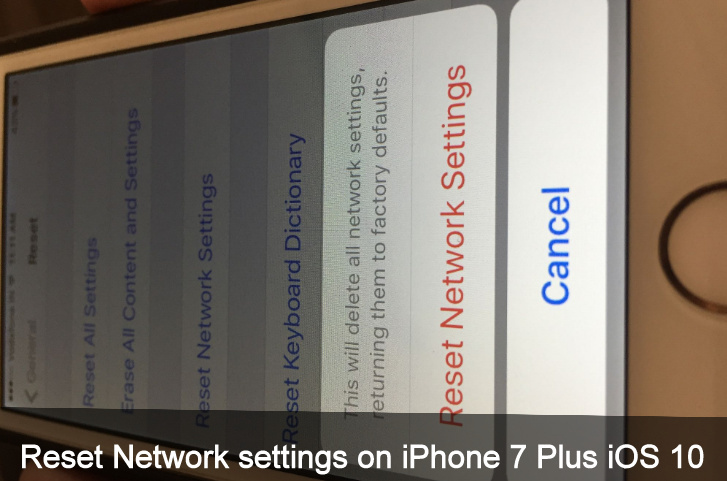 Get a guide for Reset Network Settings on iPhone, iPad with smart understanding. Apple iOS has hundreds of important features like iMessage Screen effects, Emergency SOS and much more, but after the update comes issue such as of Wi-Fi and Bluetooth connectivity problems. If you faced these kinds of problems then you’re now right place because reset network settings through you could solve your iPhone issue. You can also get here guide on after Reset Network settings which kind of data your device will erase, learn listed below. You can use Reset Network feature to solve every kind of problem of your iPhone or iPad or iPod touch. Probably you’ve no idea about how to do that. So go beneath and follow given Steps on how to Reset Network Settings. Bottom steps you can apply for Apple iPhone 8/8 Plus, iPhone 6, iPhone 7 (Plus), iPhone 6S (Plus), iPhone 6 (Plus) and older models running on latest iOS. 1. Launch Settings app on your iPhone Home screen. 3. Scroll down the screen to a tap on Reset, it appears at the last on the General screen. 4. Tap on, Reset Network Settings and you’ll prompt Enter your Passcode. Finally, Tap on Reset network settings. You’ll prompt ‘’this will delete all network settings, returning them to factory default’’. As per I explain above. But don’t worry if you’ve finally decided Reset Network settings then go without worrying. This option will reset network settings to Delete Anything like Password, Saved From Default Settings. 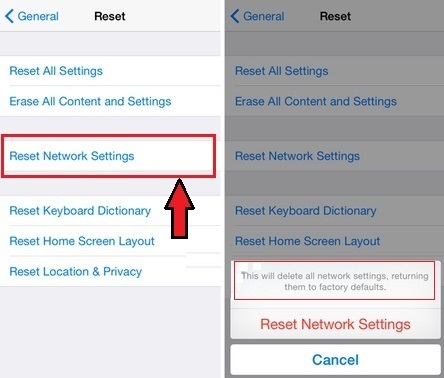 Have you ever seen get this kind of guide about reset network settings on iPhone, iPad then text us in the comment box, and to know us how much useful this tutorial comparing to previous one. Like this post? Share it on Facebook, Twitter.